For over 50 years, All-New Stamping has pioneered innovative sheet metal stamping and metal fabricating techniques to improve the quality of every finished part we manufacture. We work closely with each client to determine the best method of manufacturing your finished parts. We are constantly developing advanced manufacturing solutions to meet your needs and increase the value of our services. 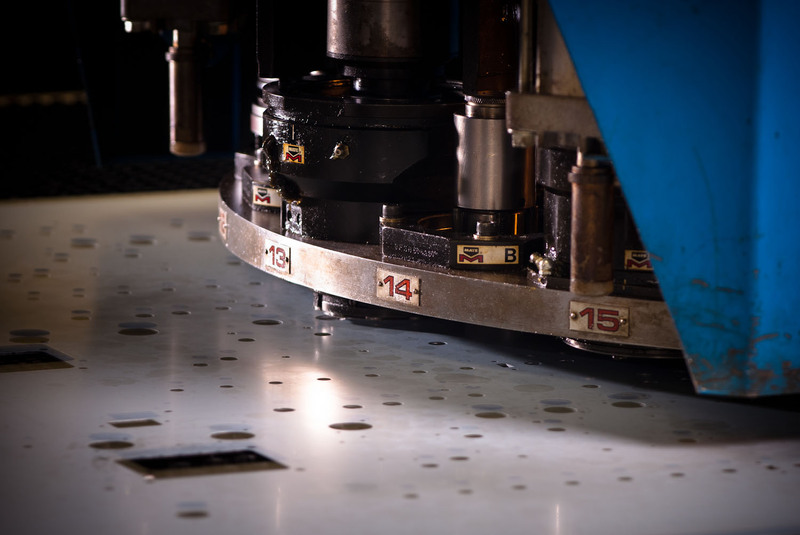 All-New Stamping utilizes computerized fabricating equipment in a stamping environment. Fabricating allows us the option of faster production without losing quality in the finished part. This means that within proper tolerances we can reduce production time from 8 weeks to 2 weeks. It means we have the flexibility to run fabricated parts on our turret presses. We are constantly upgrading and investing in the best equipment from sheet metal fabricators, the most efficient punch presses, to the latest and most efficient laser system, with the ability to work with unique sheet metal materials that were previously difficult to cut like titanium and copper with an unmatched edged quality. All-New can work with any sheet metal stock materials from .001-.250” thick, including rigid plastic, steel, stainless steel, copper, brass, aluminum and more. We can fabricate parts as large as 48”x 48”. Our 40,000 sq. ft. state-of-the-art production facility allows us to manufacture your parts to tight tolerances, with production runs from 25 to 1,000,000. In addition, we offer finishing and assembly services. Delivery of your parts can be managed using our KanBan and JIT services. Our manufacturing process is AS9100 and ISO 9001 certified, and we adhere to NADCAP standards. 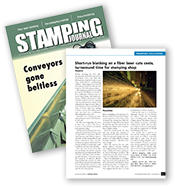 At All-New Stamping, we combine our core values of listening, providing dependability, and our dedication to top-quality to continually give our customers confidence. We call that kind of confidence Power Satisfaction and we’re proud to manufacture that into every part we make. about Sheet Metal Stamping & Fabrication?